There is a little, teeny, tiny nip in the air here in Austin, TX. Makes me think of how wonderful the Fall is in Brewster. It’s a well kept secret! You probably don’t associate Fall with good beach weather, but the Cape can be glorious- warm sunny days with cool evenings and nights. You know the ones where you come off the beach feeling a little sun kissed and reach for a comfy sweater or sweatshirt to sit around the fire in. The beaches are sparsely speckled with those who are in the know about how wonderful this time of year is, making for a very tranquil and peaceful place to read a book, chat with good friends or sip on a glass of wine as the sun sets. This is also a fabulous time to walk the shores and the flats. Equally less busy is Old Kings Highway (6A) which stretches for 34 miles along the northern bay side of the Cape from Bourne to Orleans. Imagine cruising with the windows open in the crisp air through some of the oldest villages in the country. A drive along Old Kings Highway will not disappoint with so many historic and scenic sights along the way- old sea captain’s homes, beautiful churches, cranberry bogs, shops, farmland and other historic structures. For those folks looking for a more active weekend, kayaking on one of the many fresh ponds, biking the Cape Cod Rail Trail and fishing are still great activities in the Fall. 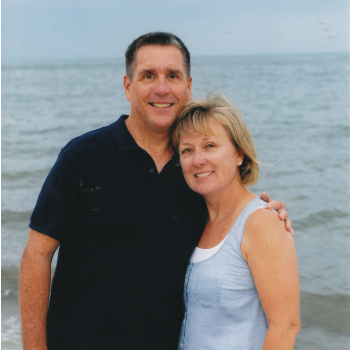 Point of Rocks beach, .5 mile from the cottage, is one of the top spots for saltwater fishing on the Cape. September marks the beginning of the magnificent Fall Foliage season which usually peaks in mid October. This is great time for those of you looking for scenic beauty to capture with your cameras! 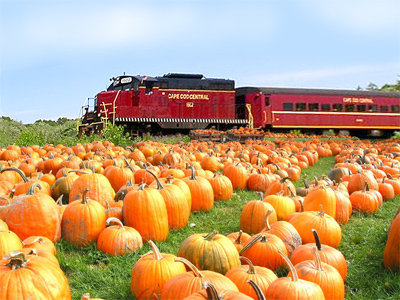 Lastly, I didn’t realize this until I started doing some research for this post, the Cape Cod Railroad runs several excursions through the end of October. The 50 mile ride takes you by sand dunes, cranberry bogs, salt marshes and the Cape Cod Canal. Excursions to pick from include the Family Supper Train, Sunday Brunch Train, Coastal Excursions Train and the Lunch Train. More information can be found here about this unique experience. Let me know if you try it! While vacationing at the cottage this summer, we were introduced to the Hog Island Beer Company in Orleans by my cousin Mary and her husband Craig. What a gem this is! It is located at 28 West Road in Orleans behind the Jailhouse Tavern. Not just a microbrewery… we enjoyed the live music and our teenagers enjoyed the life size Connect Four, giant Jenga, shuttle board table, and ping pong. There is also a wonderful outdoor patio with tables and chairs. Enjoy a flight of beers to taste or go all in and grab a pint of one that you think you will like! For those not partial to beer there is also a full bar and non alcoholic beverages. The bar tenders were very friendly and eager to share information about the brewing process. 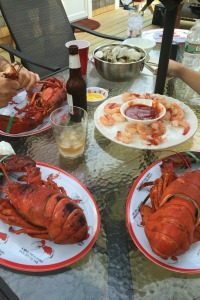 The appetizer menu was a little limited, but you are only steps away from the Jailhouse Tavern which has a varied menu and interesting history. Other breweries on the Cape include The Devil’s Purse in Dennis and Cape Cod Beer in Hyannis. Set aside a day to tour the breweries! I am very proud to launch our new website. It has been a real labor of love, considering that there was not even a computer in my high school when I was attending. Most of the computer and social media skills I have were taught to me by my 4 sons! Building this website has given me an opportunity to learn even more about an area that I really love. 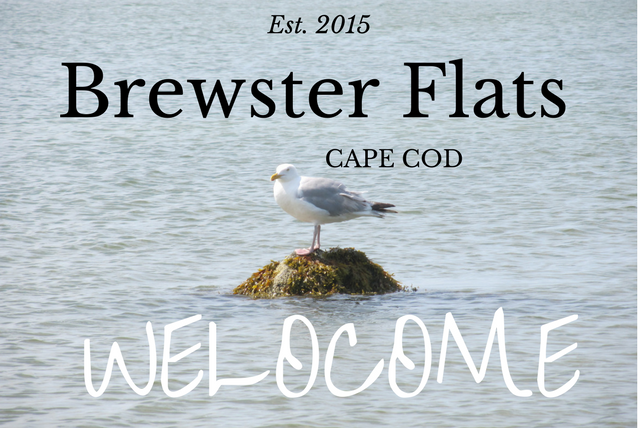 My hope is that this website will give you a good idea of all that there is to do and see near our Brewster cottage and that the information will entice you to come to Brewster. Please have a look around and tell us what you think.